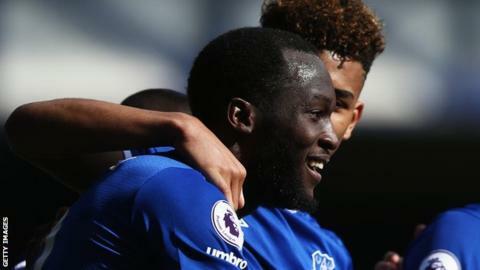 Everton make a win at home to boost their European Qualification hopes this season taking all three points available from Burnley, with entertaining goals from Phil Jagielka and Romelu Lukaku to complement their opponents encouraging own goal ( Ben Mee) for a well deserved win. The First 45 was pretty much leveled as both sides tried pretty much not to lose their cool with entertaining Chances from Baines, Mirallas, Gueye and Jagielka all not finding the back of the net. The second half wasn't as the first as the Host wasted no time to open the scoring Jagielka who scored again after an almighty scramble in the six-yard box with Lukaku and Jagielka both in there, but the skipper manages to squeeze it over the line. But the visitors replied to level up from the penalty Spot, It is utter madness from the Everton keeper as he races out to try to tackle Vokes, despite the Burnley man heading away from goal. Everton began their total dominance, creating Chances and missing them as they waited patiently till Barkley's strike from a Mirallas cut-back took deflections off Keane and Mee before looping over the despairing dive of Heaton in the 70th minutes to the frustration of the Visitors, it was counted as an Own Goal. Everton took their next opportunity to double their lead with Lukaku shooting from a very difficult angle collected a pass from Baines and uses his power to spin past Keane before lashing his finish past Heaton from a difficult angle, the Premier League top scorer adding another count to his Tally. A good win for Koeman, as his team now goes up to fifty position with goal difference pending United's Clash with Chelsea on Sunday.